Handling all your maintenance and service needs for your Kia! 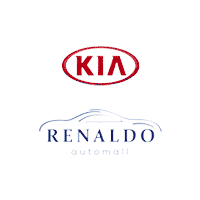 Renaldo Kia in Shelby, NC, close to Gastonia, NC and Gaffney, SC, is proud to offer a huge inventory of new and used vehicles with competitive pricing. The moment you walk through our doors, you’ll find a purchasing experience that can’t be topped. Whether you’ve picked the exact model and trim you’re looking to buy or you want to take your time to browse through all available options, our knowledgeable sales staff is on hand to answer your questions and find your perfect match. After you’ve taken a test drive and made your final decision, the finance team is ready to help you understand all of the fine print, including auto loans, interest rates, and monthly payments. Once that’s taken care of, you’ll drive off the lot in the Kia you’ve been dreaming about. When it comes time for routine maintenance, our skilled service department will help you get appointments scheduled and do all necessary work efficiently and correctly. We understand that your life is busy enough as it is, so our first goal is to provide you with a stress-free customer service experience that you can rave about to everyone you know. If you’re on the hunt for a vehicle that is uniquely your own, our premium lineup of new Kias at Renaldo Kia in Shelby, NC, near Gastonia, NC and Gaffney, SC, can provide exactly what you’re looking for. For something sporty and stylish with plenty of cargo area, our wide range of crossovers and SUVs is perfect. They include exciting choices like the Kia Soul, Kia Niro, Kia Sportage, Kia Sorento, and Kia Telluride. If you prefer a family-friendly minivan, the Kia Sedona is made to fit the entire crew and then some. Maybe you want a classic 4-door sedan that will turn heads everywhere you drive. We have a number of options, like the Kia Rio, Kia Forte, Kia Optima, Kia Stinger, Kia Cadenza, and Kia K900. If a trendy hatchback is more your speed, be sure to check out the Kia Rio 5-Door or Kia Forte5. For those who are looking to stay environmentally conscious, our range of hybrid and EV models is extensive. You can’t go wrong with a Kia Niro, Kia Niro Plug-In Hybrid, Kia Optima Hybrid, Kia Optima Plug-In Hybrid, or Kia Soul EV. Brand new doesn’t have to mean outrageous prices, which is why we offer great specials and incentives, competitive pricing, and exceptional financing. Our certified pre-owned (CPO) inventory at Renaldo Kia in Shelby, NC, close to Gastonia, NC and Gaffney, SC, is a great choice for those who want an option that’s like new, without the higher price tag of a brand-new vehicle. Kia CPO vehicles pass a rigorous 164-point inspection to ensure that your new vehicle is of excellent quality. Each individual car must also be less than five years old and have fewer than 60,000 miles. With your new-to-you certified pre-owned Kia, you’ll get a diverse range of benefits, including a 10-year/100,000 mile Limited Powertrain Warranty, 12-month/12,000 mile Platinum Coverage, travel breakdown coverage, and even more. This is an opportunity you don’t want to miss, and Renaldo Kia will help put you in a certified pre-owned vehicle that suits the needs of you and your family. Pre-owned vehicles from Kia and other reliable manufacturers are a great, budget-friendly choice for many buyers at Renaldo Kia in Shelby, NC, near Gastonia, NC and Gaffney, SC. We carry a massive inventory filled with premium options. Take some time to browse through our extensive list, and then make sure to visit us to take a test drive and find out more about our specials. Figuring out the financing process can be a headache, but at Renaldo Kia in Shelby, NC, close to Gastonia, NC and Gaffney, SC, we offer a worry-free experience. Our Finance Center employees are incredibly knowledgeable and will sit down with you to help go over the smallest details. You’ll leave with a comprehensive understanding of your new auto loan or Kia lease, interest rates, and more. Before you stop in, feel free to take a look at our virtual tools, like our online financing application, payment calculator, and trade-in estimator. Your new Kia is your pride and joy, which is why the Service Center at Renaldo Kia in Shelby, NC, near Gastonia, NC and Gaffney, SC, provides only the highest-quality maintenance and parts. You can give us a call or schedule an appointment directly from our website. Whether it’s a routine oil and filter change or larger engine fix that needs doing, our skilled mechanics will diagnose the problem and get it solved efficiently. To ensure your car functions at its best, we only use factory-made, OEM parts. We keep a large assortment of them in stock, so if you prefer to do the work yourself, we’re happy to assist in finding exactly what you need for your project. You can even order parts directly from our website. Here at Renaldo Kia, the customer is our first priority. We’re dedicated to making sure that each step of your car-buying experience is friendly and informative. If you’re ready to get rolling on your next purchase, take a look through the vast inventory of new and used vehicles on our website, choose your favorite options, and then come take your test drive at 4425 East Dixon Blvd in Shelby, NC, close to Gastonia, NC and Gaffney, SC. We can’t wait to see you!